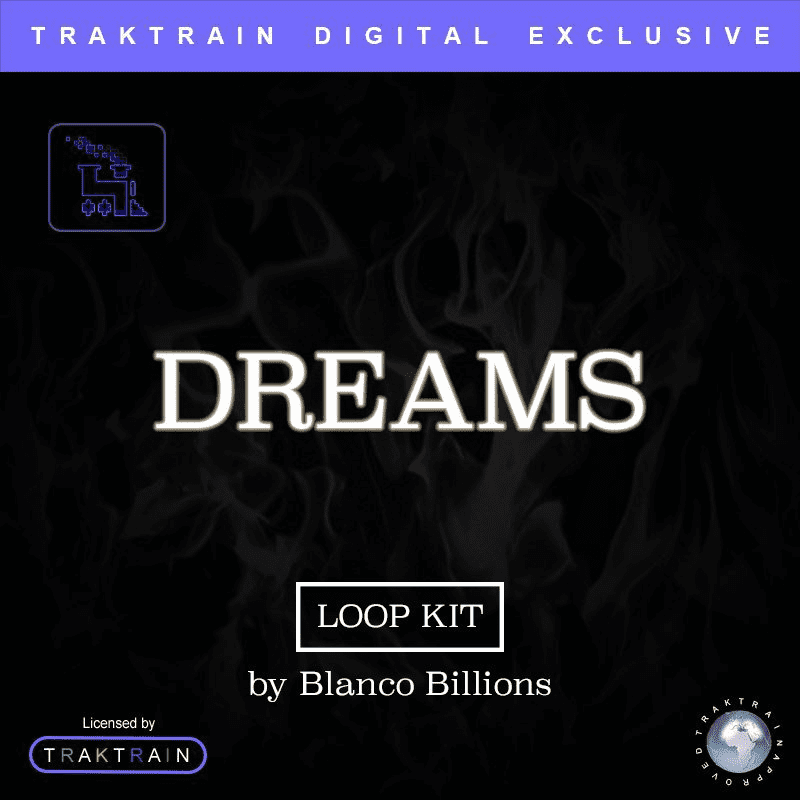 In this Traktrain Smooth Hip Hop Loop Kit “Dreams” Blanco Billions prepared 50 brilliant loops to make dark and emo trap, chill hip-hop type beats. 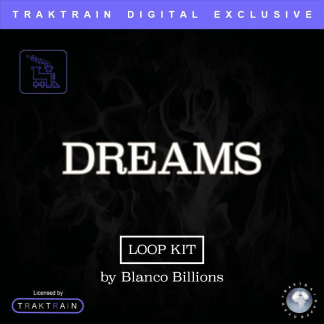 Firstly, check out this Traktrain Smooth Hip Hop Loop Kit “Dreams” by Blanco Billions. 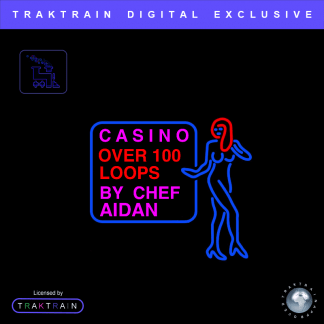 Producer of Team Sesh presents 50 silky smooth loops for you to get started on the next hit track. Finally, there is a soulful piano, soft synths, melodic pads, and bouncy harmonies all finished off with Blanco’s iconic, pristine touch. 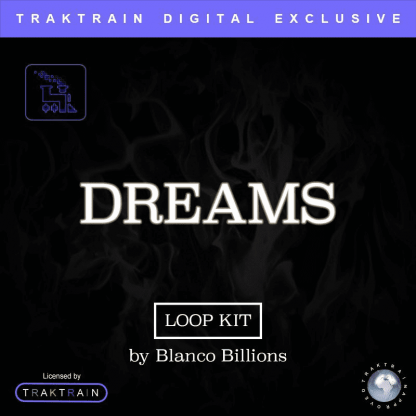 Blanco Billions present Dreams – an advanced portrayal of completely clear and bass substantial sounds. 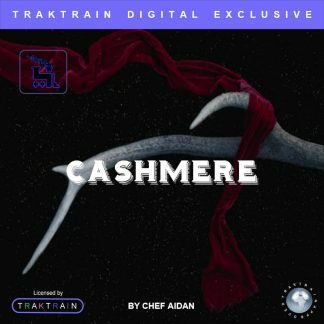 Ideal for beatmakers hoping to make a contemporary rap banger. Above all, overflowing with an aggregate polished methodology. Come and join the wave 100% sovereignty free! However, shaking up with substance, Dreams has been expertly made to bring you authoritative road sounds you can create an impression with. Hip-Hop and Trap circles, considerably more have all been devotedly recorded, prepared and accumulated by Blanco Billions right for your soul. So beat crafters over the globe can infuse their sound palette with another burst of vitality and warmth. With circles shaking trunks around 116-160 BPM. Hip Hop and Trap are ideal for its named classes and in addition harder Rap and different bass overwhelming rap styles. Made by Team Sesh member which just says everything about it. Being a recording artist and music producer Blanco Billions has a steady role in music culture. While producing music in Team Sesh he also supervises his sole music project. His music has always the best quality and his lives blow up the crowd.